Thanks to all of you who sent in information to update our family genealogy. I’ve met some wonderful cousins via letters and over the Internet via email. The list below represents the second and third draft of that information. The names that are in RED are the names that I have added to or corrected on our list. Please look it over and let me know of any changes that need to be made. Some information was easier to read than others and in several cases I received conflicting information. So please don’t be shy, let me know of any changes to be made. 7 Albert, b. 1-25-1820, d. 6-5-1904, m. 1st Martha D. Ball 12-2-1846, m.
53 Martha M., b. 2-21-1856, d. 10-10-1876. 143 Mordecai M., b. 4-7-1885, d. 2-29-1920, m. Laura M. Babcock 3-15-1911. 155 Rachel M., b. 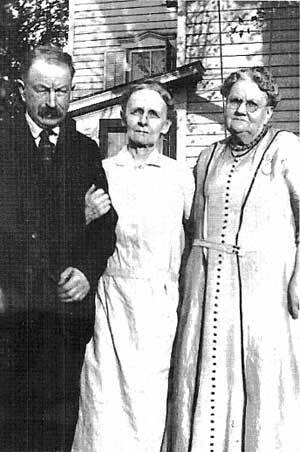 10-10-1873, d. 12-9-1948, m. Walter dePrefontaine 9-26-1895, d.
188 Martha C., b. 2-9-1885, d. 5-31-1972, m. Robert 0. Meadowcroft 4-5-1915, d.
214 Clyde S., b. 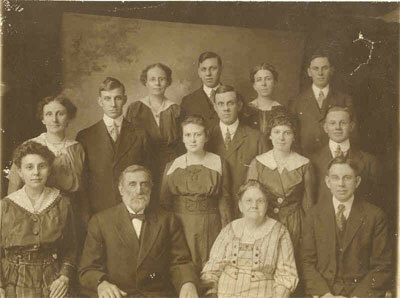 1-17-1892, m.1st wife Wilma E. Burson 11-20-1915, m.
221 Joseph L., b. 11-29-1880, d. 8-30-1950, m.1st wife Elma G. Hutton 1905,m. 249 Elmer Harry, b. 10-2-1901, m. Hannah V. Kibblehouse 9-13-1920. 260 David A., b. 5-8-1903, m. Alretta B. Florig 3-30-1925, d. 1970. 273 Irma Myrtle, b. 1-28-1902, m. John C. Rounsavill 5-21-1920. 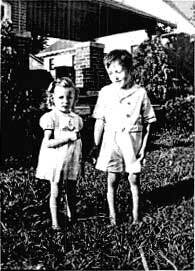 Children of J. Paul Wilson and Ina M. Ross, his wife. 319 Alice A., b. 9-17-1913, m. 1st Ward Fairchild 2-5-1933, m. 2nd George McCarthy 5-7-1949. 320 Joseph Paul, Jr., b. 8-15-1915, m. Ethel Jones 2-9-1944. 321 Robert B., b. 4-9-1919. 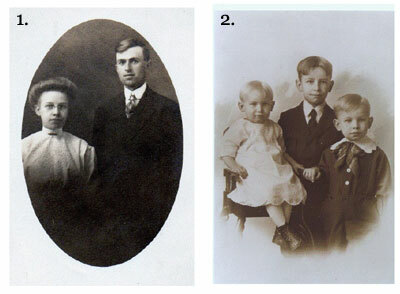 Children of Robert Comly Wilson Jr. and Edna Baker Watson, his wife. 326 Katherine E., b. 4-28-1923, m. Charles W. Davis 12-11-1943. 330 Leroy Morris, b. 1-29-1914, d. 6-7-1942. 1. William H. #144, the son of Henry E. N.,#27 and Mary Honor Price Conard. Sarah Honor, daughter of William Bennett and Martha Price-Conard (Morris P. #22) Jarrett. 362 Benjamin P. W., b. 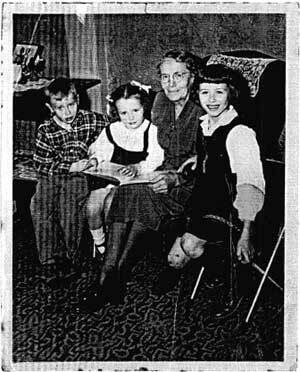 12-18-1895, m. Martha Wood 3-8-1919, d. 5-15-1970. 382 Henry Slingluff, b. 7-29-1907, 1st m. 1st wife Elinor M. Lee 6-5-1928, d.
416 E. Priscilla, b. 1-12-1914, m. Samuel K. Hunt 4-17-1937. 418 R. Estella, b. 12-16-1901, d. 7-17-1961. 419 Frank Leslie, b. 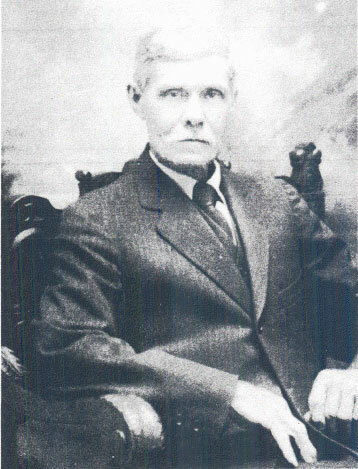 1-9-1904, d. 9-20-1926. 432 Robert Carlos, b. 2-11-1915, m.
543 Joseph Maurice, b. 2-22-1918, m. 1st wife Catherine Myers 4-26-1945, d. 1965, m.
601 Richard Paul Jr. 2-18-1939, m.
602 James Stephen, b. 3-22-1947, m.
675 Stoddard G., b. 9-2-1911, d. 10-11-1985m. Jennie Chodniki 9-8-1940. 684 Clinton H., b. 10-20-1917, m. 1st wife Rose Southerland 2-21-1941, m. 2nd wife Laura Hurd 11-21-1949, m. 3rd wife Ruby Worthington Connel. 698 Linda Comly, b. 12-20-1946, m. William Goens 7-16-1970. 712 Walter George, b. 7-3-1927, m.
771 Albert M. Jr., b. 9-22-1947, m. 1st wife Elizabeth Tracey Swarthout 1-15-1972. 778 Timothy Woolman, b. 7-31-1960. 799 Frederick Charles, b. 2-2-1940. 804 Linda Ellen, b. 3-24-1939, m. Steele. 814 Laura Elaine, b. 12-19-1939, m. Kenneth John Miller. 817 Ellen Duffield, b. 3-17-1950. 829 David Lee, b. 8-25-1948, m. Conchette Monstreia. 859 Janet Louise, b. 2-14-1950, m. Albert W. Coffman 3-21-1970. 889 & 890 Adopted by Earl Palmer, last name changed to Palmer. 993 William Earl, b. 6-14-1949, m. Shirley Burton. These two boys—adopted by Larry and last name changed to Hauler. Children of Ruth K. by 1st marriage. (1003 & 1004). T702 Brian Dale, b. 2-4-1978, m.
Children of Marlene Elizabeth Mellingen and Ronald Ellingson, her husband. Children of J. Hugh Palmer and Dian Mordon, his wife 2nd m.
1272 Vincent Joseph, b. 8-13-1951 (A) & name changed to Clark. T742 Chad Allen Jr., b. 12-20-1986 m. ? 1371 Frank Brent, b. 7-16-1968 m. Luanne Young 6-17-1995 m. Christine Marie Ortie ?